The Pamir operation began at the end of 2001, following the attacks of 11 September, and finished at the end of 2014. Its objective was to put a stop to the Taliban's reign of terror and to help in the reconstruction of the country. As part of an international coalition, French forces engaged more than 70,000 soldiers from all the armed forces over a period of 13 years. 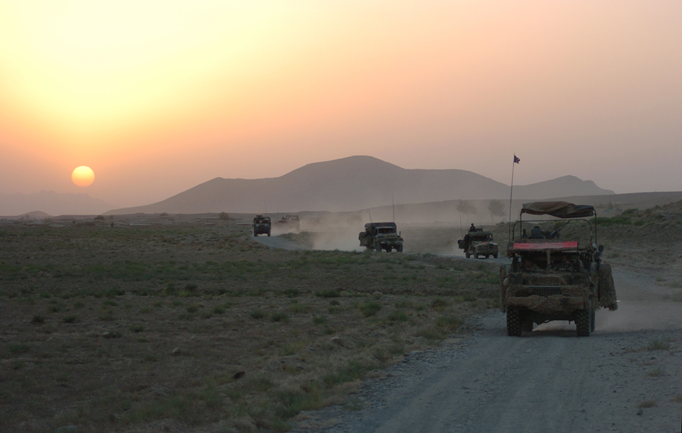 At the height of the operation, in 2010, 4000 troops were present in the field; 89 were killed and over 700 were wounded. This operation was significant for the French army both in terms of the manpower engaged as for operational experience. In Kabul, on 31 December 2014, Major General Gratien Maire, Deputy Chief of Staff of the Armed Forces, recalled that "the military operations conducted in Afghanistan for the past thirteen years will have shaped the French armies which have had to adapt continuously. They can be proud of their action."